J.K. Rowling has thanked fans for not revealing spoilers for 'Fantastic Beasts: Crimes of Grindelwald'. 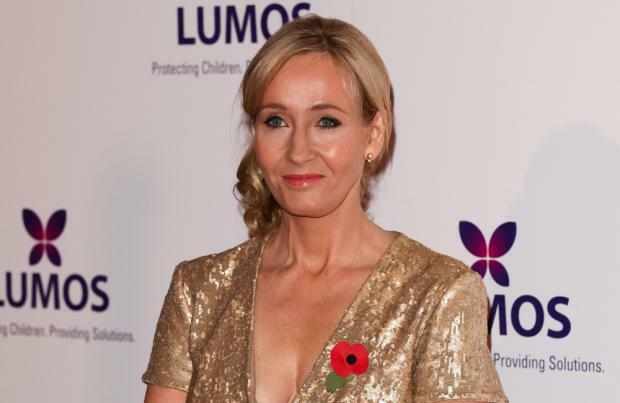 The movie has its first screenings for fans over the weekend, and the 'Harry Potter' author – whose original novels inspired the current spin-off film franchise – is very grateful for those who have been able to keep important plot points to themselves. Rowling – who also penned the script for the sequel – tweeted: "You people are amazing. To every single one of you who's seen 'Crimes of Grindelwald' and kept the promise to #ProtectTheSecrets, thank you for looking out for your fellow fans. "Not that I needed reminding, but this is an incredible fandom"
Her comments come after leading man Eddie Redmayne appeared in a video begging fans to stay tight lipped about the movie's major plot points. He said: "I'm holding a badge, which has a hashtag 'protect those damn secrets' on it. "And please, I'm imploring you, if you go to see 'Fantastic Beasts: The Crimes of Grindlewald' there are... spoilers that are so intense. "Please, please don't ruin it for others. So, #protectthesecrets, and see you soon!" Redmayne reprises his role as magizoologist Newt Scamander in the sequel, which sees Johnny Depp star as evil wizard Gellert Grindelwald and Jude Law take on the role of a young Albus Dumbledore. The latter actor has been praised by Evanna Lynch, who appeared in the original saga as Luna Lovegood and thinks he has done a great job. She recently said: "He is so perfect as Dumbledore. He totally captures that serenity, that inner peace."